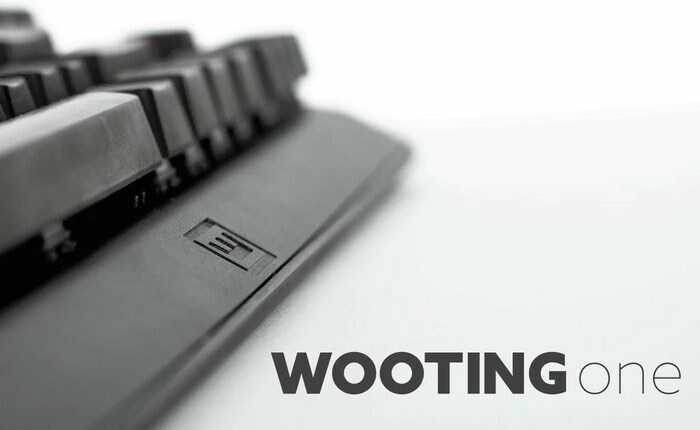 If you are looking for a new analogue mechanical keyboard you might be interested to know that Wooting has this week launched a Kickstarter campaign for their Wooting One analogue mechanical keyboard which has been specifically designed to provide precise movements within games. The Wooting One keyboard is capable of monitoring exactly how far you are pressing a key for analogue input and can also quickly swap between digital and analog modes. The One is now available to back via Kickstarter with pledges for super early bird backers starting at €129. Watch the video below to learn more about its design and functionality which includes RGB backlit keys, smart functions, cable management, plug and play gaming and more. Unplug your controller, you don’t need it anymore, now you have the Wooting one for all your analog movement in PC games. It can read exactly how far down you’ve pressed a key for analog input. You can immediately use it in games to precisely control all your movement or use it outside of gaming for other applications. It’s analog! The Wooting one isn’t only a full analog keyboard, it’s also an awesome mechanical keyboard with (literally) lighting fast input, swappable switches and top-plate, full on-board programmability and so much more. Be a pioneer in keyboard technology, help us to further develop all the analog possibilities and bring some real innovation to PC gaming peripherals. For more information on the new Wooting One keyboard jump over to the Kickstarter website for details and to make a pledge via the link below.